With the development of information and communication technology, e-learning becomes more and more popular and important. Especially, because the mobile computing devices such as smartphones become popular, we can use e-learning contents at any time and anywhere. One kind of e-learning contents is the quiz games. It is a kind of basic but widely-used e-learning contents. It can be used both to test students and to help them remember knowledge points. Because of the development of 3D technology, some quiz makers have started to provide quizzes in a 3D environment. In this paper, we propose an extended framework which can help quiz makers to create quizzes in a Virtual 3D Environment based on the Linked Data. Such kind of quizzes can train users more effectively. We also discuss how to create IoT (Internet of Things) security quizzes. The generated quiz can also collect users’ activity data for the further analyzation. 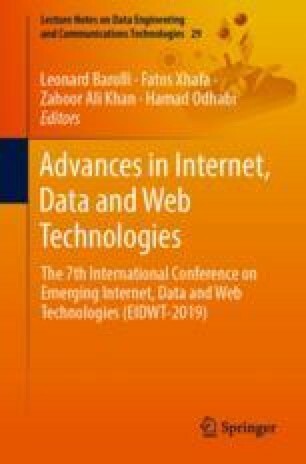 This research was mainly supported by Strategic International Research Cooperative Program, Japan Science and Technology Agency (JST) regarding “Security in the Internet of Things Space”, and partially supported by JSPS KAKENHI Grant Number JP16H02923 and JP17H00773.